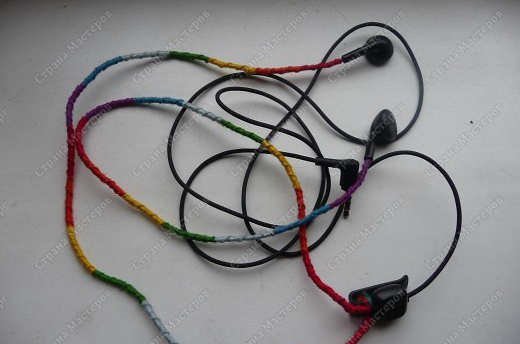 If you are tired of ordinary headphones for the phoneor mp3-player and you want something new and bright, then it makes sense to do decorating. The decor of the headphones will make them original and bright. You can execute it in several ways, consider the most accessible ones. The first way is painting with varnish. 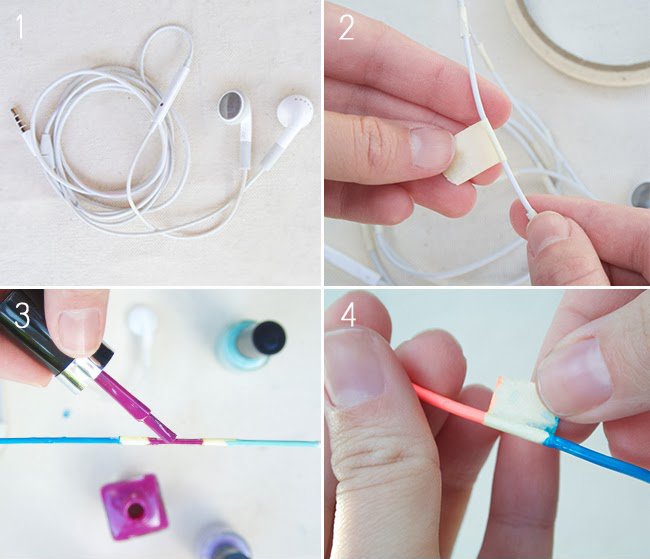 We paste on the wire headphones thin adhesive tape, leaving small gaps (3-7 cm). We paint them with nail polish or some suitable paint, using different colors. 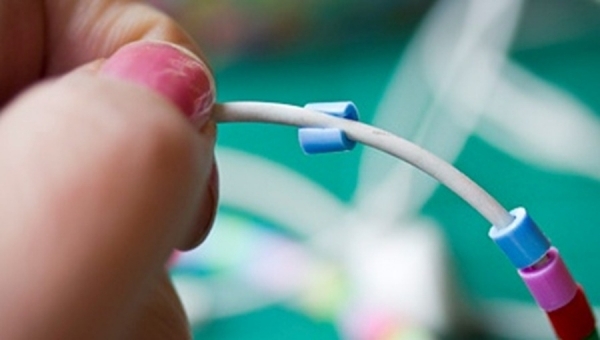 After drying, remove the tape and getbeautiful multi-colored wire with white inserts. Looks like the decor of the headphones is delicious, but there is one drawback - nail polish sooner or later get off the plastic and have to do the decorating again. You can, of course, find a persistent paint, but this is not easy. The second way is decorating with thermo-mosaic. We buy in any children's store a multi-colored thermo-mash in length from 1 to 4 cm. We cut it from the side with a blade or a clerical knife, after which we put on headphones, selecting a combination of colors to your taste. You can leave it that way, but it's better to warm it up a bitwire and crimp the thermo-mash so that it sticks better. 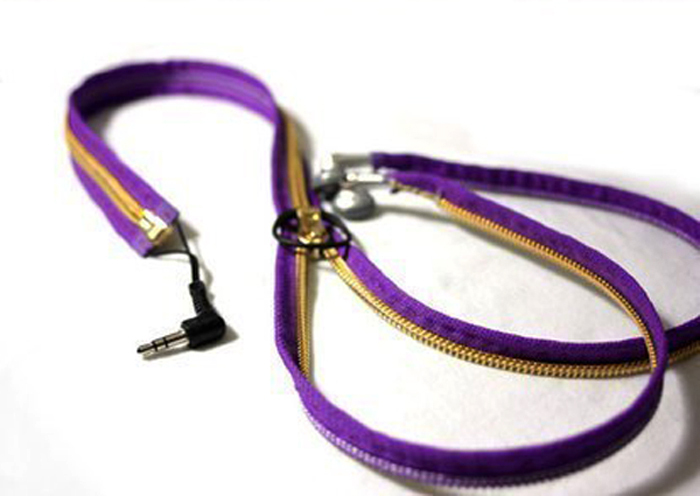 Do not overdo it, because the wire is sensitive to high temperature. In the end, this is how beauty should turn out. And by the way, keep such a decor will be verylong, maybe even longer than the headphones themselves. 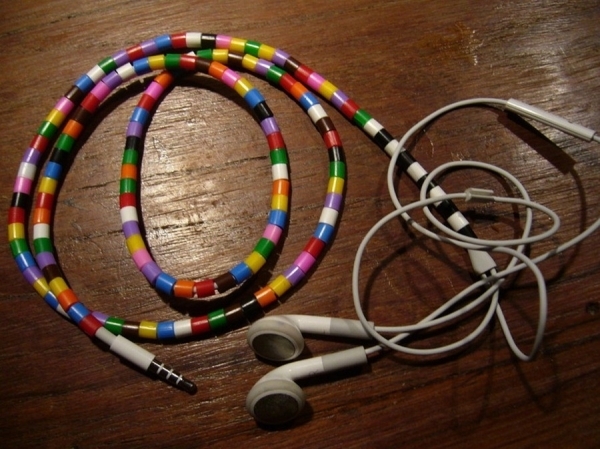 The third way is to braid the headphones with a thread. Relatively complicated method, from the first time it will not work out faultlessly, so be ready to learn and re-do it several times. But the headphones get warm, which will be a pleasant bonus for those who often wear them under a T-shirt. How to braid a thread around a wire, goodshown in the diagram below. 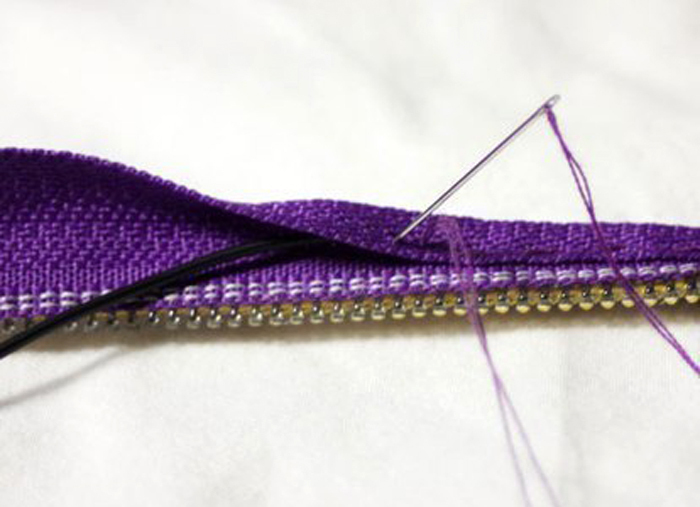 You need to fix the thread and start making knots until you reach the end. At the end, another nodule is made, so that the weaving does not dissolve. For these purposes, you can use any thinyarn (iris, mulina, etc.). The fourth way is to pass the wire through the snake. 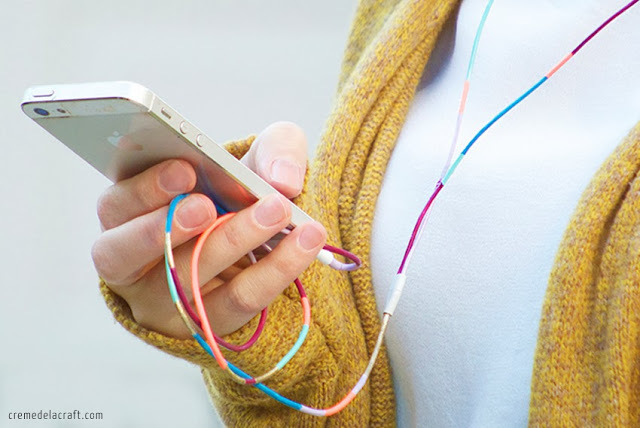 It's not so much a decor as the protection of wires on headphones from entanglement. It turns out originally, but the appearance of an amateur. How to sew a wire in a snake, is clearly shown in the figure. We would recommend using a snake with plastic teeth, since metal will be constantly cold, and in the cold, wearing headphones will be completely impossible.